We’ve taken a deep dive into our own theories about Marvel’s Avengers 4. In short, we’re expecting time travel to play a role, while there’s a possibility a new Infinity Gauntlet could be forged by Eitri. Now, there’s a new theory, via Reddit, and it is truly blowing our minds. 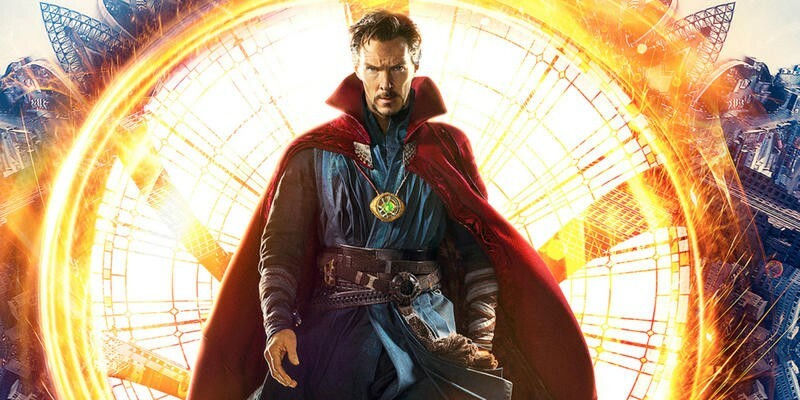 Posted by LoL-Guru, the theory posits that Doctor Strange sent the Time Stone forward in time for the Avengers to use. Once they were done, the Time Stone was sent back to give to Thanos. This was reportedly part of Strange’s master plan, which we speculated about in our own theory. There are a few key details to pay attention to, LoL-Guru argues. When Strange gives Thanos the Time Stone, it produces a brilliant glow, which only happens when the Infinity Stones are being put to use. Adding to the theory is that Thanos is unable to grasp the stone, instead manipulating it through its aura. When Dr. Strange hid the time stone it wasn’t through some trick of light or illusion like Loki but by sending it forward in time to be used later. Only to be sent back when the Avengers had finished using it. The Time Stone can travel forward or backward in time, but not space. It will appear on Titan soon after the snap presenting itself to Tony. This is also why Tony needs to survive. If the snap is inevitable then he is the only one smart enough to a) figure out what is going on when the Time Stone presents itself on Titan and b) study the stone in order to unlock the quantum real (the same way the Mind Stone in the spectre allowed him to create Ultron). This is why the Gauntlet breaks from the snap! It’s using a Time Stone from a reality where the Avengers have already won and sent it back in time. It could all be part of Doctor Strange’s plan—and why the events of Avengers: Infinity War played out like they did. Strange let Thanos succeed in order to give the Avengers an edge. 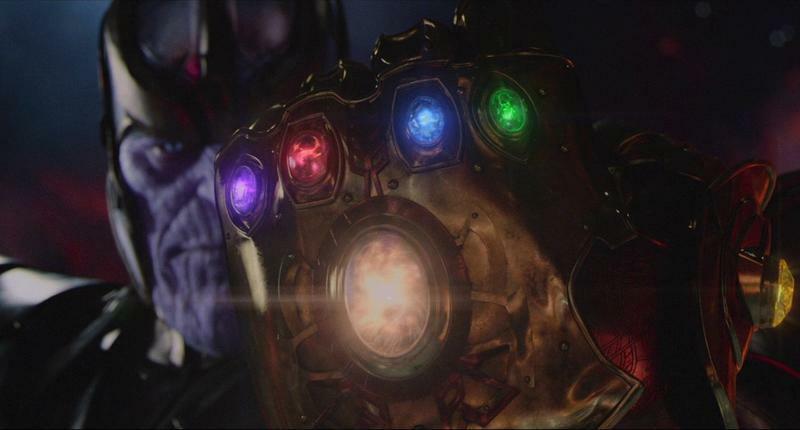 The fact that the Infinity Gauntlet is destroyed by the snap could give the Avengers an opportunity to fight back. Thanos will still be incredibly strong, but without something like the Power Stone at his disposal, the playing field will be relatively even. Give LoL-Guru’s theory a full read at the source link below. We are still trying to fully comprehend what we just read. We won’t truly know what Marvel has planned until Avengers 4 hits theaters on May 3, 2019. With the snap of his fingers—and after one very heartbreaking sacrifice—Thanos turned half of the universe into cosmic dust. It was a cruel, shocking ending to a journey that fans have enjoyed for ten long years. Now, we have just under twelve months to wait until we see how Tony Stark and the Avengers will undo this mess. Very few concrete details have been revealed about Avengers 4. We know for sure Captain Marvel will make an appearance. We also know that time travel will play a part. But exactly how the Avengers will defeat Thanos and restore order to the universe remains to be seen. One thing’s for sure: Hitting the undo button might come at a big cost for Earth’s Mightiest Heroes. There have been a lot of theories floating around since Avengers: Infinity War concluded, and a lot of them sound plausible. So, we’ve rounded up a few of our favorite theories that may unfold when Avengers 4 hits theaters next May. The question on everyone’s mind heading into Avengers: Infinity War was: Who will die? Now that the movie is finally behind us, our attention has turned to Avengers 4, a movie that carries with it incredible significance. Not only will it conclude the Thanos saga, but it will mark the end of the Marvel Cinematic Universe’s Phase 3, likely making way for a new wave of heroes. Very few details are known about Avengers 4 at this point. We don’t even know the movie’s title, which for a time was simply called Avengers: Infinity War Part 2. With only twelve months until the film’s release, everyone is anxious about what’s to come. So, what can we expect to happen in Avengers 4? This post will deal less with the many theories currently circulating and more with what we already know about the upcoming film. So many of our favorite characters perished at the end of Avengers: Infinity War, including Spider-Man, Black Panther, Groot, and Doctor Strange. Even Nick Fury disintegrated in the movie’s post-credits scene. Needless to say, it was a shocking end to what may go on to be Disney’s most successful movie ever. But all hope is not lost. Several key members—most notably all of the original members—survived, and you can bet they won’t take the death of their friends lightly. It will be up to them to figure out how to move forward now that half the universe has disappeared, and possibly reverse the damage that’s been done. Here’s a list of who we think will return in Avengers 4: Iron Man, Captain America, Nebula, Thor, Hulk, Rocket, Black Widow, M’Baku, Okoye, Falcon, Ant-Man, Hawkeye and Wong. The title of Avengers 4, which is now a placeholder, was originally Avengers: Infinity Way Part 2. But as we got closer to the release of Infinity War, Marvel Studios decided to change the title of Part 2 so it had a better narrative fit. The reason the title hasn’t been revealed is because it would spoil what happens in Avengers: Infinity War, which means the real title of Avengers 4 probably won’t be revealed for a while. Avengers 4 is notable for several reasons, not least of which because it will end Phase 3 of the Marvel Cinematic Universe. More importantly, it could be the final time we see characters like Iron Man, Captain America, Hulk, and Thor. Many of the actors we’ve seen over the past ten years have expiring contracts, which means Marvel may no longer have plans for these characters in the future. Those plans could change, of course. Chris Evans’s contract was up after Avengers: Infinity War, but he signed on to appear in Avengers 4. Expect the Marvel Cinematic Universe to include a lot more Guardians of the Galaxy, Black Panther, Ant-Man, Spider-Man, Doctor Strange and Captain Marvel, and much less of the original Avengers. 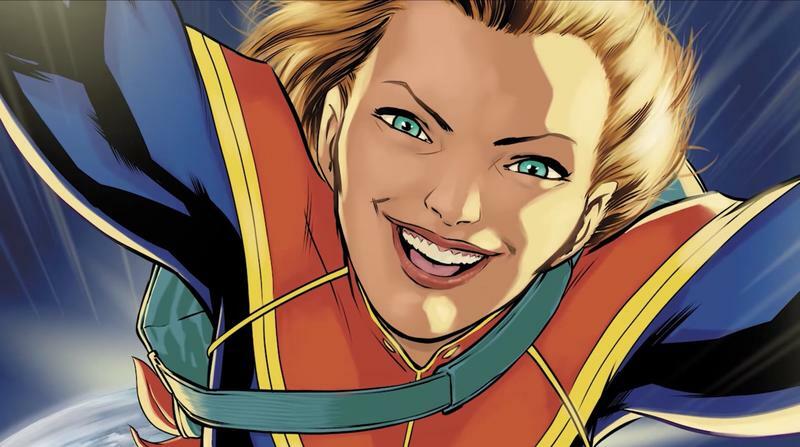 Although we’ll meet Carol Danvers (aka Captain Marvel) in her solo movie next March, she’ll become a focal point in Avengers 4 as well. Marvel Studios head Kevin Feige has described her as the most powerful Avenger by far, so her involvement will likely be crucial for mounting a response against Thanos. Once she joins up with the Avengers, she’ll likely become a key member going forward. Thanos used time to his advantage, so why can’t the Avengers? In photos from the Avengers 4 set, we see a decidedly clean shaven Captain America in his suit from The Avengers, while Tony Stark is looking rather youthful. But the real important part could be those bracelets worn by Iron Man and Captain America; they could be the key to traveling back in time in order to undue the damage done by Thanos. We don’t know their magical properties or how they were made, but clearly they’ll be a key part of the upcoming film. While Avengers: Infinity War featured a lot of characters, they never appeared together in the same place. There will apparently be at least one scene in Avengers 4 in which every appears together. Does that include the characters who perished in Avengers: Infinity War? We’ll find out in a year. There were a lot of deaths in Avengers: Infinity War, but don’t expect them to be permanent when Avengers 4 is released. It’s very likely Loki will remain a permanent casualty, but Gamora, Vision, and the other Avengers who disappeared into ash at the end are likely to return. Even though we expect much of the damage in Avengers: Infinity War to be undone, that doesn’t mean there won’t be consequences. Could Captain America finally meet his doom? After Iron Man’s brush with death, will his luck finally run out? Can the God of Thunder’s destiny end in death? Iron Man’s nightmare from Avengers: Age of Ultron painted a pretty grim picture, and there’s still a possibility that could come to pass. If something like that does happen, it could end Phase 3 in a definitive way as Marvel moves on to a universe without the group’s founding members. After successfully eliminating half of the universe, it might seem like a job well done for Thanos. But expect him to feature prominently in Avengers 4 as the movie deals with Infinity War’s aftermath. Last we saw, Thanos had a look of contentment as the sun was rising over his new home on a lush paradise. But will he stay happy? Although he achieved his goal, it came at a great cost. I wouldn’t expect him to willingly undue the destruction he wrought across the universe, but I don’t expect him to act as if nothing happened. As Avengers: Infinity War showed, Thanos is a very complex character, so it will be very interesting to see how Avengers 4 further develops his narrative arc, and how it comes to a close.